So… tomorrow I’ll have some questions and discussion points for you on the 2014 John Lewis advert. Remember our focus is narrative and audience. Just a quick post to show you a couple of the Analytics pages from the My Generation video I mentioned. If any of you are interested in trying to create a viral video then let me know. I’ve got a couple of ideas we could try, or if you have an idea, I’ll help you realise it! The first is the ‘world view’ graph. 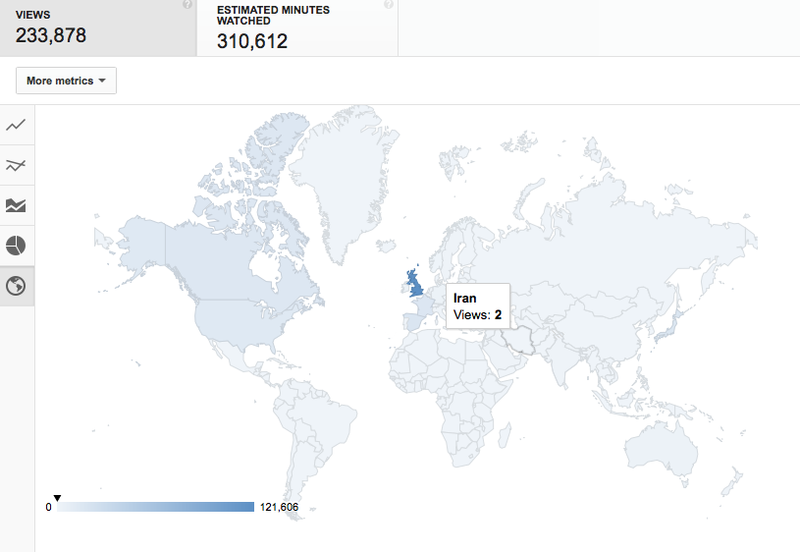 It is interactive and shows the number of views per country. As you can see, it’s even been seen twice in Iran! 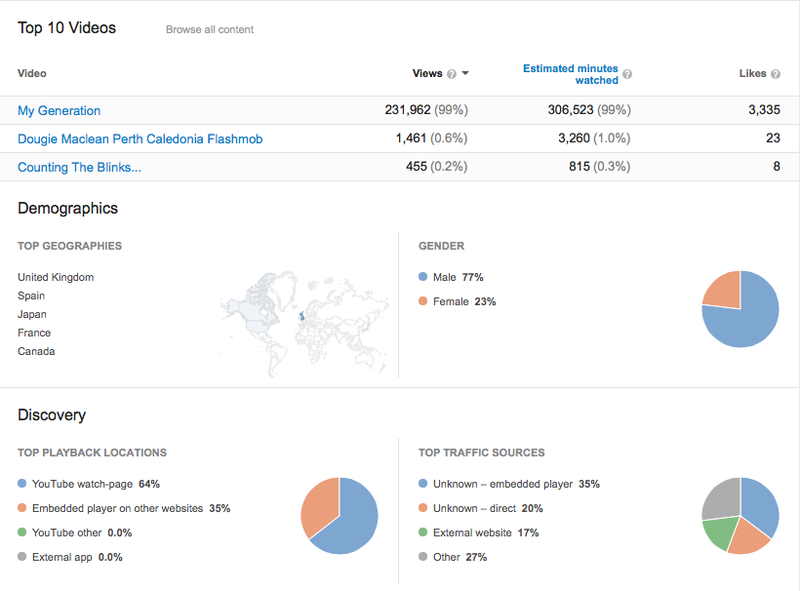 The second shows some of the statistics you can gather on the analytics page.